Hatch Homes is honored to serve the locals residing in the suburbs of Charlotte, NC. Our company holds the Queen City close to our hearts as this is where our company started. We offer a variety of exterior remodeling services from siding, roof replacement, windows, gutters, doors and more. Hatch Homes is a certified member of the James Hardie Contractor Alliance program. The program provides every member of our team with up to date information and guidelines required that are required to follow by the manufacturer for installation. Proper installation is critical when installing James Hardie products; this is why our installation crew partakes in continuing education classes every year. Hatch Homes is even the company referred to homeowners in the neighborhood of Ballantyne through James Hardie’s find a pro section of their website. Mastic Vinyl siding and products is also another quality product that Hatch Homes offers to homeowners in Ballantyne. Our company is a member of the Vinyl Siding Institute as well which helps regulate and ensure the proper installation of vinyl on homes. Mastic offers a variety of styles that imitate the look of wood without the maintenance. Another benefit is by saying goodbye to painting and hello to a paint-free product! Hatch Homes is honored to be apart of Mastics Elite Preferred Program which provides our crews with the knowledge they need to install the product on your home correctly. Charlotte has an ever-growing population that wouldn’t possibly hold all the residents without the lovely suburbs. Ballantyne is one of them; history says that initially this area was known as a large hunting tract. 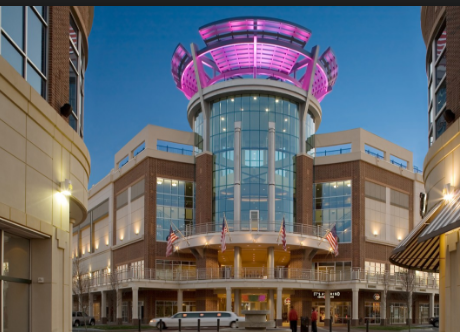 The Ballantyne Corporate Park was turned into one of the most successful and planned out communities by Johnny Harris and his brother in law Smokey Bissell. Another company would later come up with the country club and surrounding residential area. Bissell bought out his brother in laws shares in 1955. The area was named after Bissell’s great-aunt Ballantyne, and in 2001 the Ballantyne Hotel was built. Our company is beyond thrilled to serve the city of Charlotte. Our team is dedicated to serving Ballantyne and the following neighborhoods of the Queen City. Choosing between vinyl and fiber cement siding can be a challenge for most. Let the experts at Hatch Homes help you by talking out the benefits of both. Our consultations are both hassle-free and transparent. Fill out an online consultation form to speak to a member of our team.